Anderson, Carl (2006-2013), personal communications. AtedugyonYektisKeltika Yahoo Group online (2011-2013), discussion forum. Ball, Martin J. & Fife, James (1993) The Celtic Languages. 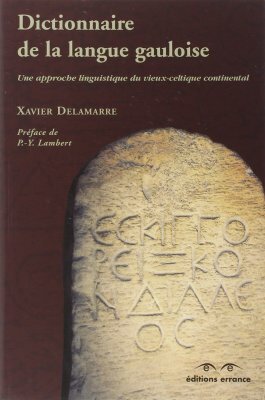 Delamarre, Xavier (2003) Dictionnaire de la Langue Gauloise, Editions Errance, Paris. Finsen, Lars (2006-2013), personal communications. Kartic substrate”, The Macro-Comparative Journal, vol. 2, No. 1. Gray, Louis H. (1944) ‘Mutation in Gaulish’, Language, v. 20, no. 4, pp. 223-30. 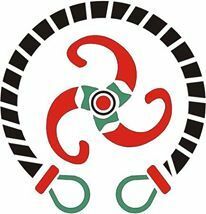 (1934-2002) The Rise of the Celts. Vox Romanica, III, pp. 48-155. Lambert, Pierre-Yves (2003) La Langue Gauloise, Editions Errance, Paris. McKay, Helen (2006-2013), personal communications. Mees, Bernard (2008) “The women of Larzac”, KF 3, pp. 169-88. Mees, Bernard (2010) “Words from the well at Gallo-Roman Châteaubleau”, pp. 89-106.
analysis of Tabellae Sulis 14 and 18”, Studia Celtica, XLI, pp. 31-45. Stifter, David (2009) “Notes on Châteaubleau (L-93)”, KF, pp. 229-244. Stifter, David (2012) “Gallo-Latin inscriptions”, Old Celtic Languages, Spring 2012. Language, v.31, no. 1, pp. 9-19. Celtic Linguistics / Ieithyddiaeth Geltaidd: Readings in the Brythonic Languages, eds. University of Toronto, “History of the Breton Language”. “Proto Indo European Verbs” – Wikipedia. Watkins, Calvert (1962) Indo-European origins of the Celtic verb: the sigmatic aorist.